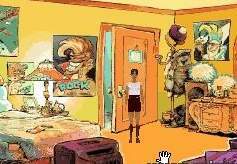 A point and click adventure with young girl Lucy. Is it hard to be teenager? Lucy wanted to confess her love but it didn't turn out as she would have liked it to.